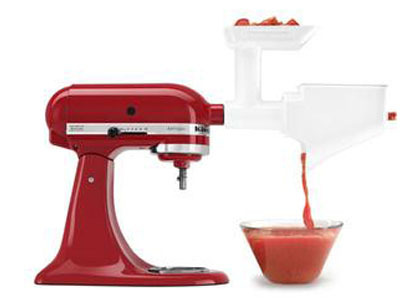 The KitchenAid fruit and vegetable strainer attachment is ideal for preparing vegetable purees, fruit butters and sauces, jam and baby foods. Use with Food Grinder (not included). Fits all KitchenAid mixers.